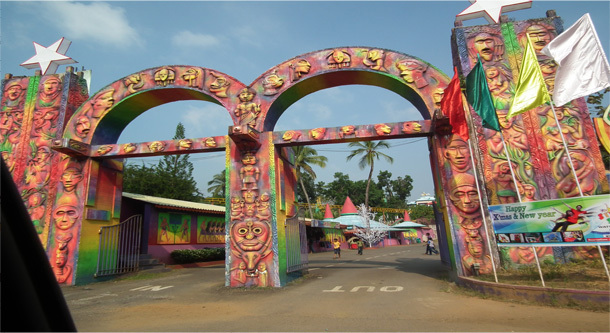 Silver Storm water theme park is located in Vettilapara in Thrissur district. The rides here are a combination of natural wonder and manmade marvels. This park was established with the financial aid of Kerala State Industrial Development Corporation Ltd (KSIDC). This park was launched in 5 phases, first being in 2000 and the final phase in 2005. The facilities provided here includes first aid, restaurant, dressing room with lockers, gift shops, telephone, ice cream parlor, prayer hall, food court, on call taxi service, vast parking area etc. People can also come here and celebrate any special events such as birthday parties, wedding anniversaries, private parties, corporate events etc. There are also cottages available with and without AC. All facilities including restaurant and 24 hrs security is also provided. There is a Children’s village here where pet animals, birds etc are there wandering freely. In order to attract and entertain the children there are several persons dressed in cartoon characters to dance with them. Recently they have added 2 acres of land with new 10 rides. The new area called as Chinese Village have rides like Dragon coaster, Funny copt, Hokcycle, Hopper wagon etc. A ride called Sky jet is fascinating providing adventure ride to all and is the only one of its kind in Kerala. The Striking car ride here is different from the rides elsewhere. The design is unique with spherical shape. Some of the rides available here are Pearl Awuarium, New striking car, Turbo twister, Wave pool, Baby train, Super splash, Hara kiri, Jurassic splash, master blaster, Columbus, Kids pool, Swing chair, Tea cup etc. There are many more rides available.